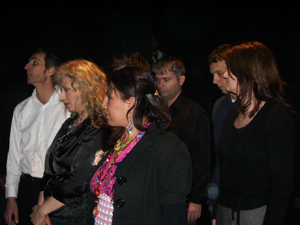 ‘Writing Home’ April 2009 was a theatre production created and acted by exiled and non-exiled writers from Bosnia and London. 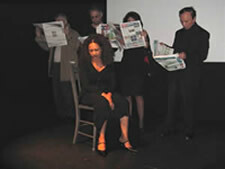 It brought together writers of different ethnicities and those who left with those who stayed. The production focused on the meaning of ‘home’ in times of war and its aftermath; about mythology and history, loss and exile; about make a place for oneself in and through writing. The performances took place in Mostar and Tuzla at the Mostarski Teatar Mladih and Teatar Kabare Tuzla. 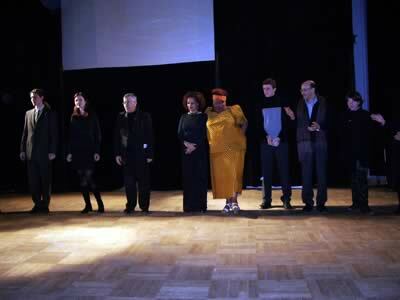 Seven performers were involved – three from London and four from Bosnia and Herzegovina. 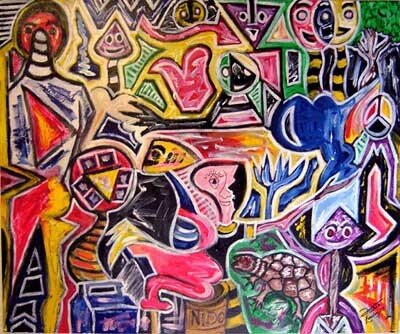 Sofia Buchuck originates from Peru and now lives in London. 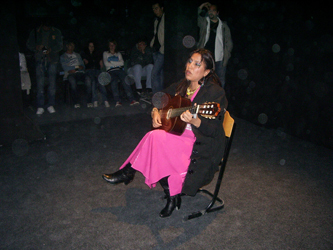 Her work both musical and literary, reflects issues of diaspora and memory and celebrates popular and ancient culture of Latin America. She has recorded two CDs: ‘Girl of the Rain’ and ‘Violets’ and her collection of poetry is entitled ‘Orange Nights in Autumn’ (2008). She has also published ‘At the Other Side of America’ and ‘Latin Mermaids’. 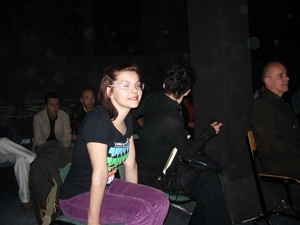 Amna Dumpor, born in Mostar, completed a year of Drama Studio at the National Theatre of Mostar after which she studied Serbo-Croat linguistics and literature at the University of Mostar. However, the War curtailed her studies. She arrived in the UK in 1992 and gained a degree in Contemporary Business and Political Economy from the University of Westminster after which she gained a diploma in Refugee Studies from the University of East London. She works in a London primary school. 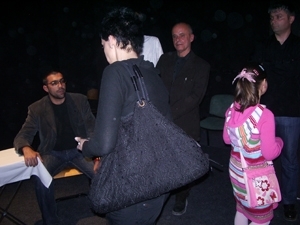 In 1998 she published her first book of poetry Tears in the Heart in Mostar. 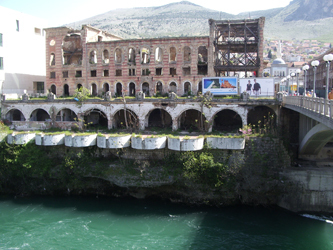 Sonja Juric from Mostar is a member of the Croatian Writers Association of Mostar. Her poetry is included in Let u TROstihu, published in Mostar, 2008 and in various web journals including ‘Knjigomat’. Elvedin Nezirovic is from Mostar. His first published collection of poetry The Abyss was published in 2002. His poems and literary texts have been published in prestigious literary magazines across the former Yugoslavia. 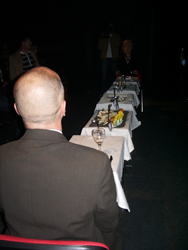 He has worked as a journalist for Radio X, Radio Free Europe, Radio Studio 88 and Grace magazine, Sarajevo. His latest collection is entitled The Beast from a Hotel Room. Jasmin Saletovic from Tuzla is a poet. 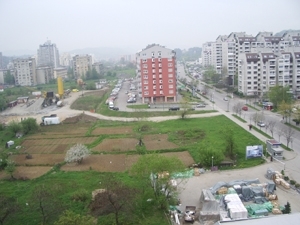 He is currently a student of electrical engineering at the University of Tuzla. Edin Suljic, originally from Tuzla, is a film-maker who has made ‘Day of Oysters’. 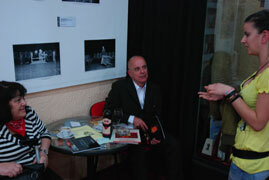 He is also a photographer, puppeteer, playwright and poet. He translated ‘Cry of Bosnia’ by Elvira Simic (1998, Genie Quest). He now lives in London. Adnan Zetica is a young poet studying in the Faculty of Humanities in Mostar. His work appears in ‘Kad progovori tisina’ and in various web journals including ‘Metafora’ and ‘Poezin’. 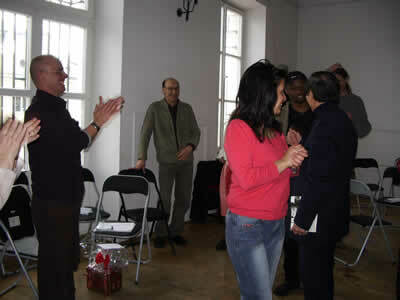 Director: Ernst Fischer, a Creative Research Fellow at Roehampton University (2003). 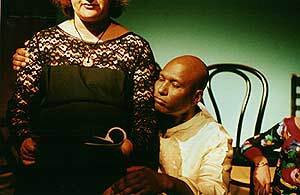 He has been actively involved in theatre and performance making for more than three decades and in a variety of roles and genres. 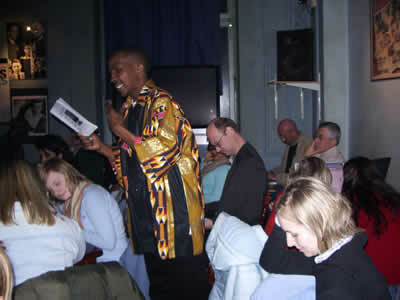 He previously directed ‘And the City Spoke’ and ‘A Mouthful of Africa’ with Exiled Writers Ink. ‘Writing Home’ though by no means devoid of interpersonal tensions and logistical difficulties, was to my mind a very successful project overall. 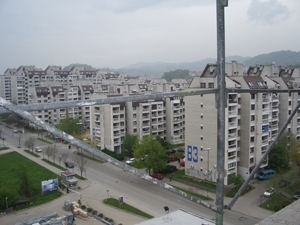 It created a framework for both, artistic and personal exchange between Bosnian poets of various religious and cultural affinities and, maybe even more importantly, between those writers, who had moved abroad to escape the ethnic troubles in the early 1990s and those, who, for various reasons, had stayed behind. 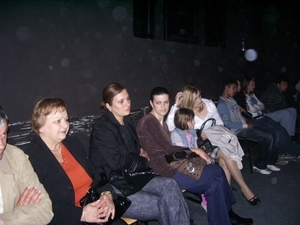 By individually exploring the meaning and scope of the concept of ‘home’, the participants discovered much that united them and realised that feelings of guilt or envy that some of them may have nurtured were exaggerated and largely inappropriate, considering the highly complex political issues and personal life histories involved. The writing was of a high standard throughout and the participants’ commitment and dedication to the project, on the whole, a great pleasure to witness. I am called Ragib and once upon a time I was a stonemason. It is already the three thousand nine hundred and sixty fourth day that I am like this, a monster and a cripple, dying slowly in my own body and at the hands of one who is secretly disgusted by me – my wife Vasvija. A landmine cut off my legs and mutilated my body, so I’m blind in one eye, as well as mute. I am the one on whose window sill a flower wilted this morning. I have one eye left, but have no tears to water it; a well inside me has dried up and so, though it has been given to me to suffer, I am forbidden to cry. Yes, I am called Ragib and you must have heard of me if you have ever walked down the alley. I don’t know how to speak, so I write down what can’t come out of my mouth. I don’t go anywhere and I don’t show myself to anyone, that way my pain is smaller, since it has not been touched by others. My name is Ragib and since I became a cripple, I have not dreamt. I am not afraid to go to sleep, but I am afraid to wake up; and like that – forever – one of my eyes looks into this world and the other into the World Beyond. I am called Ragib, the one whose wife cheated on him yesterday. During the war I lost my legs, but in peace I grew horns; don’t ask me if I know which curse lies heavier on me. I am called Ragib. 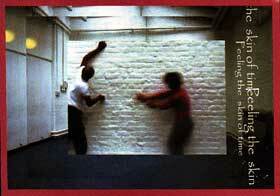 I am a stonemason, who cuts words with his hands – words of stone. They follow my every step. They know me well. All my mistakes, all the things I loved. They know all my secret shortcuts. They turn up at the right corner long before I get there. And I don’t try to run away. How could I? After all, I too know them well. I fed them. I got drunk with them night after night. We sat around a table. I looked into their eyes. I held their hands. Some I kissed, many I held in my arms. And I betrayed them, many a time. So I wait, knowing they are waiting. I hope they will come out of the shadows. But they don’t. They won’t come closer. or inhale a wisp of their cigarette’s smoke. they who never leave me, I, who never let go of them. Most of all I fear you, my love. You know every hollow under my skin; you know when I breathe out. encircling every bend of my body. There we remain forever in waiting. and you, who is waiting for my hope to fade away. But the blow doesn’t come and the hope doesn’t fade. The year is 1992. Still vivid in my memory, I can see my dad playing chess in the courtyard during the short cease fire. I can see my mum, going about her usual business of preparing dinner. I can see an empty and deserted street, a simple reminder that nothing is the same anymore. I see myself suddenly lost in my own town, my own life. The air is filled with that special smell nostalgic smell, which is usually associated with memories of childhood, the first kiss and first love; all those memories which are now slowly diminishing in the presence of overwhelming fear and uncertainty, threatening me with oblivion. Leaving my hometown, I can see the distant lights and the heavy red clouds hanging over my beloved city. I can see the buildings disappear behind a wall of dust, and then the curtain drops – I can see nothing. When I open my eyes, I see a road stretching ahead of me; I am lost again and I ask myself: “who am I if I don’t have my heart and my soul with me? Did I leave myself behind and where is this road taking me, to nowhere or to new beginnings and a new life?” I shall find out and I will – who knows – maybe – some day – return. 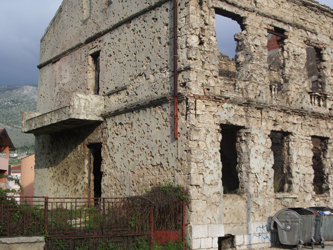 Edin Suljic translated the work by writers living in Bosnia. 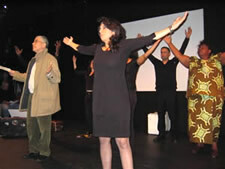 Breaking the Silence is a powerful and emotional work of experimental interdisciplinary theatre especially created for Refugee Week by Exiled Writers Ink! 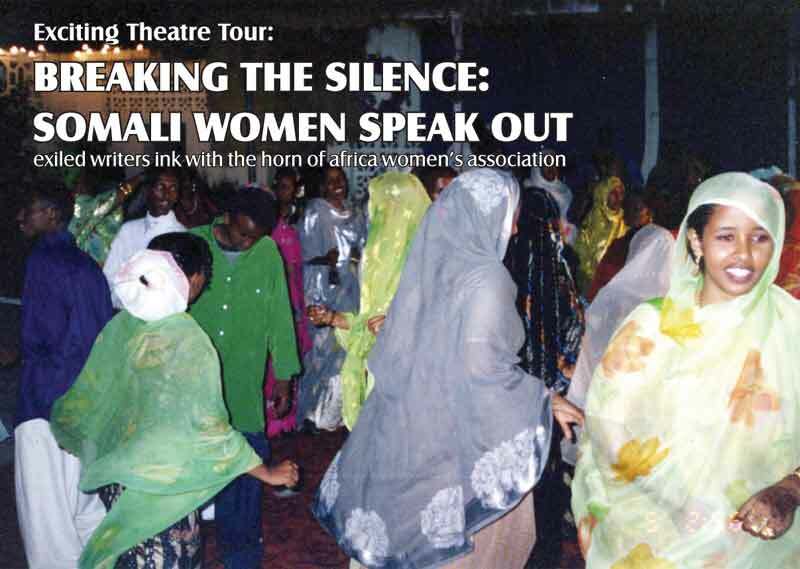 with Somali Women from the Horn of Africa Women’s Association in collaboration with Evlynn Sharp and Dictynna Hood. Kindly funded by the European Cultural Foundation as well as: The British Council Warsaw, British Council Brussels, Polish Cultural Institute London, Italian Cultural Institute London and CIES, Ferrara, Italy. 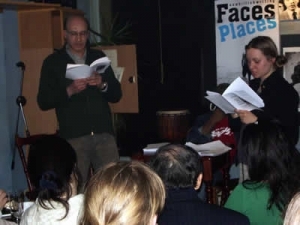 This is a project which will involve refugee and exiled writers who have found exile in new European cities – Warsaw, Bologna, London and Brussels. An exciting, imaginative production around the theme of the writer/actors’ physical, spiritual and emotional relationship to their new spaces, will be performed in The Space at the Hampstead Theatre, Swiss Cottage, London on Friday 29th and Saturday 30th October. 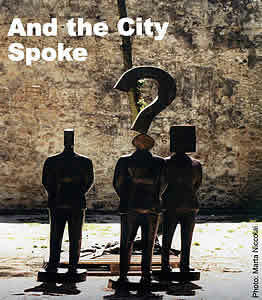 In addition, a seminar on the theme of European Exiled Voices will take place on the afternoon of Saturday 30th October. 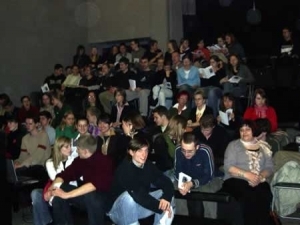 In April 2005, the writers will travel to Warsaw and to Ferrara to perform and to engage with local people and students in workshops. Active in culture and the arts as well as the media, and with an impressive track record in education since 1954, the European Cultural Foundation is Europe’s only independent, non-national and pan-European cultural foundation. Running its own programmes and awarding grants keep it close to the grassroots cultural sector, and make it a credible advocate of strong cultural policies for Europe. ‘A Mouthful of Africa’ is a collaborative theatre production focusing on stories of African political, social and edible food. 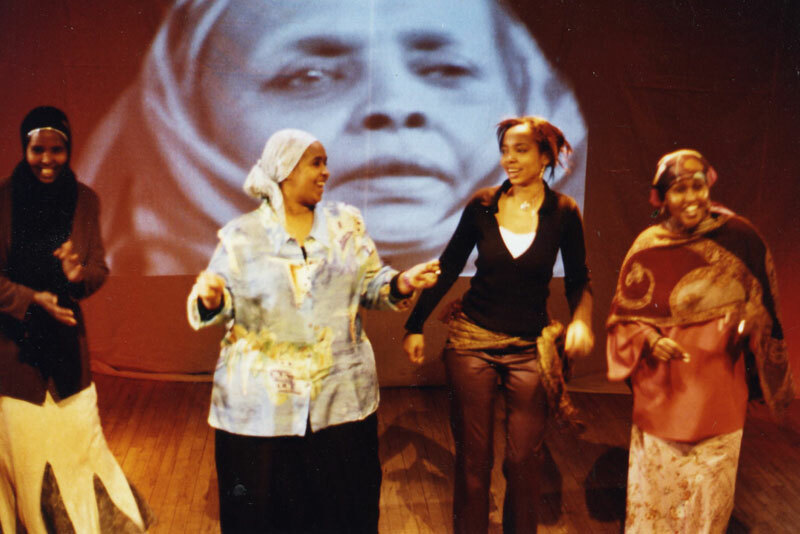 The African exiled writer/performers portray the ambivalent imagery of memories of home food and yearning in the place of exile. Their concerns of the personal interact with the political significance of food in areas disrupted by war and migration, with edible food being an integral part of the production! 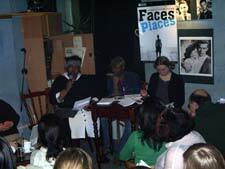 Peeling the Skin of Time is a work of experimental theatre which was devised especially for Refugee Week 2002 by writers form Cyprus, Iran, Kurdistan and Bangladesh. 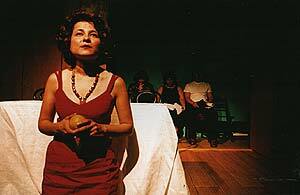 It is an exploration of internal and external landscapes and depicts the excitement and commotion of a society made up of people from elsewhere and was performed at the Arcola and New End Theatres, London in June 2002.